Introducing NitriShield® with Grippaz™ Technology. The unique fish-scale pattern of these gloves provides unsurpassed grip and durability. They are ergonomically designed not only for wet grip on the outside but also to reduce hand slippage on the inside. 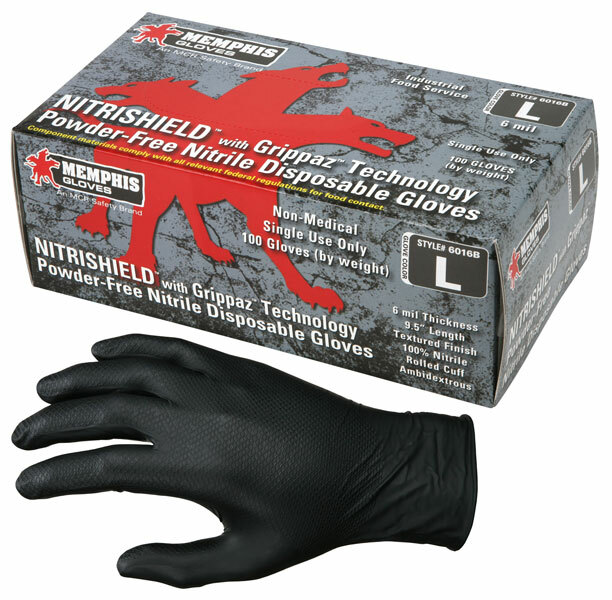 NitriShield® with Grippaz™ Technology are designed to cover a broad spectrum of industrial uses including automotive, assembly, paint spraying, electro - plating, cleaning, asbestos removal and janitorial.